This is an exclusive nod to the yin-yang and nature element inspired China pack and the Friends & Family colorway focused around the luxe gold tones. 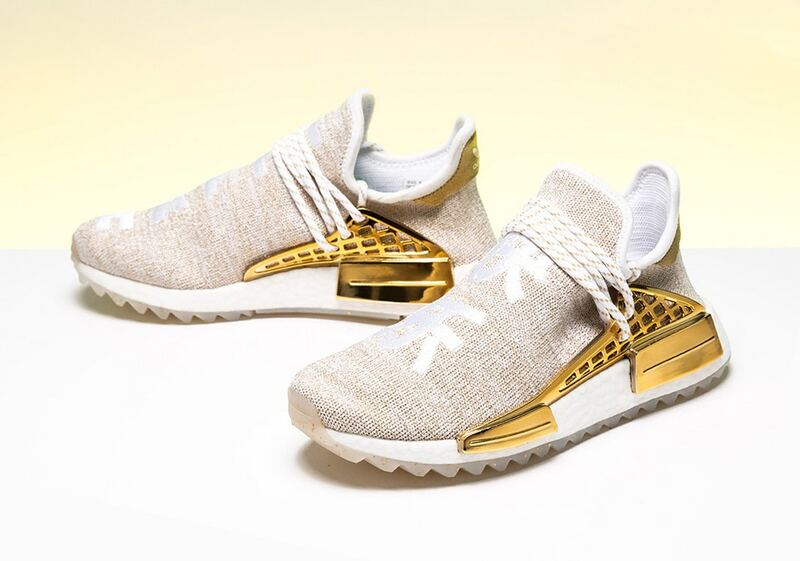 Standing out amongst the brightly colored footwear set, the bright gold look features “HAPPY” embroidered on the right sneaker with the corresponding Chinese character found on the left, while shiny gold is found on the heel and lacing cage of the NMD Hu Trail silhouette. Dope or Trash?